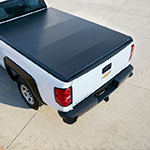 A roll-up cover is a practical option for a truck bed that isn't used regularly during hauling routines. This cover has a lock, so it can deter theft when it's docked on a truck bed in a high-risk neighborhood. If you select this cover, you can remove it whenever you don't need extra security. You can service a truck and equip a cover at Hanna Imports in Raleigh. We proudly serve locals in many communities, neighborhoods, and suburbs.